Coming off a season where he lost three months to arm problems, Brian Steiner was looking ahead to the next year, he told his hometown Lawrence Journal-World in November 1988. "The Rangers say I'm a hard worker. The pros like that," Steiner told The Journal-World. "I'll work out all winter and try to put on some weight. They always want pitchers to get bigger." Steiner lost that time while pitching at single-A Gastonia. He returned for three more seasons, but no matter how hard he worked, or big he got, he never made AA. 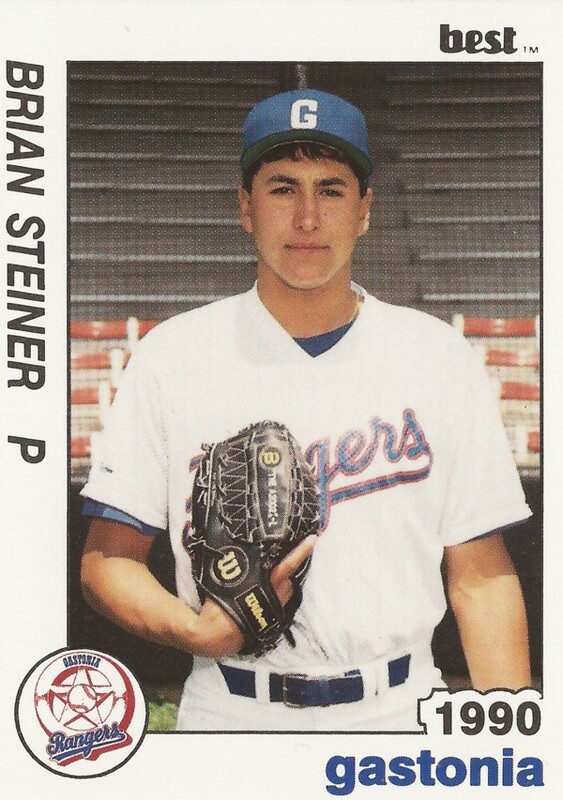 Steiner's career began in 1987, taken by the Rangers in the 10th round out of Seminole Junior College in Oklahoma. Steiner went to Seminole after growing up in Lawrence. Steiner played American Legion ball in Lawrence, throwing a no-hitter in one June 1984 contest. That July, Steiner's team won its way into the district finals. "It means a lot," Steiner told The Journal-World before the district championship game. "We want to keep playing." 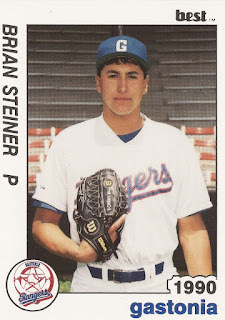 With the Rangers, Steiner started at single-A Gastonia. He got six outings there, 8.2 innings. He proceeded to give up 17 earned runs. He played the rest of the year in the rookie Gulf Coast League. He then returned for his injury-shortened 1988 campaign. He made it back onto the field at the end of the year, getting 10 outings, seven starts. His ERA came in at 4.26. For 1989, it was back to rookie ball. Steiner's season consisted of 11 starts at rookie Butte, with an ERA of 2.95. Steiner returned to Gastonia in 1990 and turned reliever. In 21 relief outings, he had a sterling 1.38 ERA. He also earned a promotion to high-A Port Charlotte for 1991. He got 30 outings there, with a 3.45 ERA. It was his final season as a pro.